Neil began his apprenticeship at the age of 16, in Cheltenham, England. He was Chef de Cuisine at Rundles Restaurant in Stratford from 1981 until it closed 2017. He has completed stages in two Scandinavian restaurants of note: Noma in Copenhagen, and Frantzén/Lindeberg in Stockholm. Recently, Neil staged at Chef Ben Shewry’s celebrated restaurant, Attica, in Melbourne, Australia. He has taught at the Stratford Chefs School since 1984 during the off season. Hailing originally from Montreal, Randi lived in Kingston for 12 years. There, she took an undergraduate degree in philosophy at Queen’s University, taught clinical and communication skills at Queen’s University Medical School, and co-owned a co-operative cafe, where she found her place in the kitchen. In 2012 Randi graduated from the Stratford Chefs School with honours. Randi started working at Rundles Restaurant and quickly became sous chef. Randi is now a cooking instructor and program director at the Stratford Chefs School where she keeps everything running smoothly. Randi is obsessive about sustainable foods, supporting local growers and is an avid cookbook buyer. Mike received a Bachelor of Science degree from Mount Allison University in 1999 before beginning his career in the culinary arts. To pursue his dream of working in the culinary world, he travelled to Europe working in restaurants, breweries and vineyards. 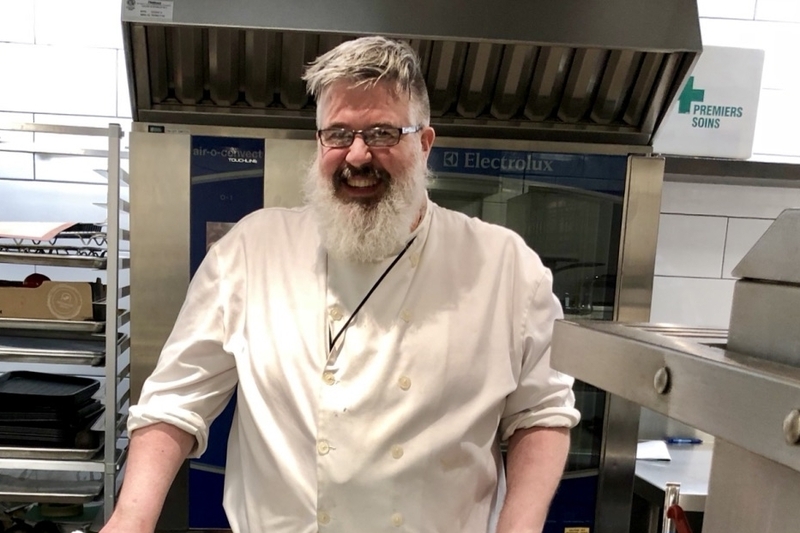 Mike returned to Canada to attend the Stratford Chefs School, graduating in 2006. Mike’s desire and drive to cook led him to working at Rundles restaurant, quickly moving up the ranks becoming chef de cuisine. Mike became an instructor at the Stratford Chefs School and teaches cookery and purchasing. Mike is passionate about making smoked meats, is an avid collector of fine whiskeys and loves discovering new beers.